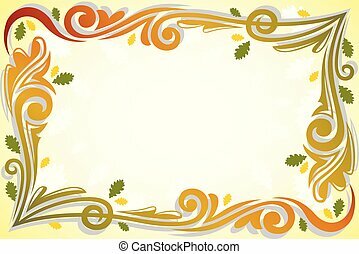 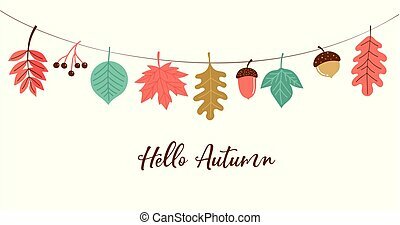 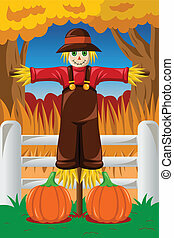 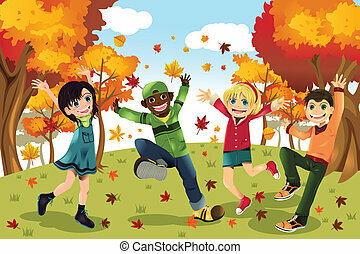 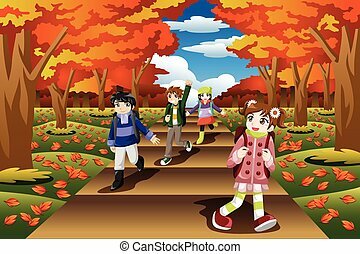 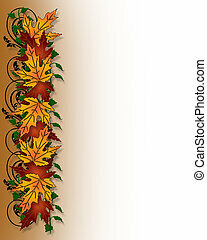 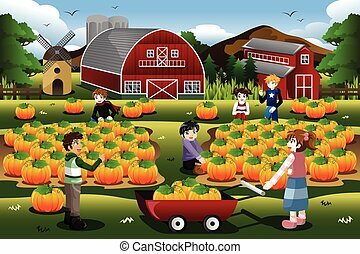 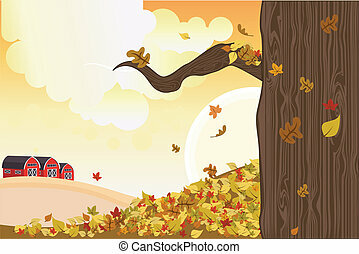 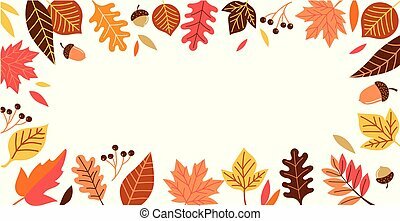 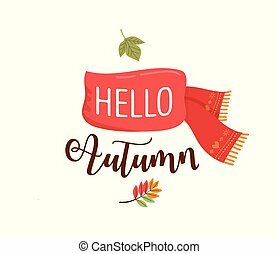 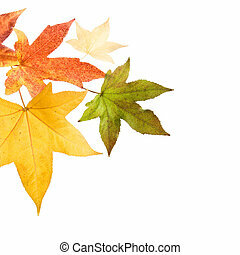 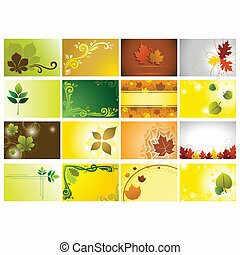 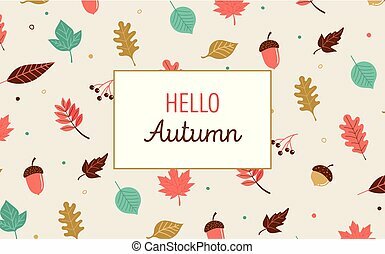 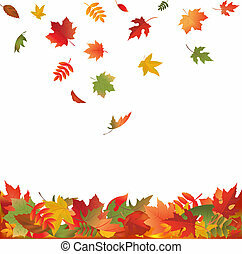 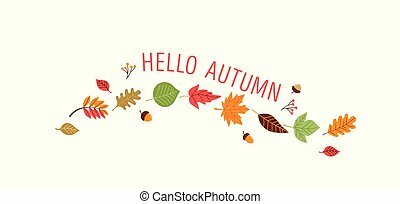 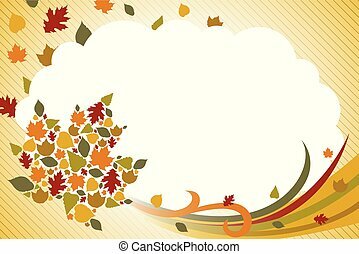 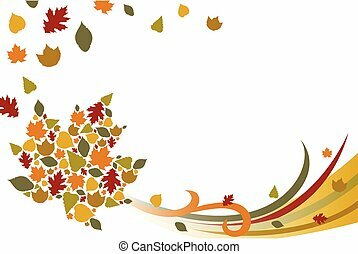 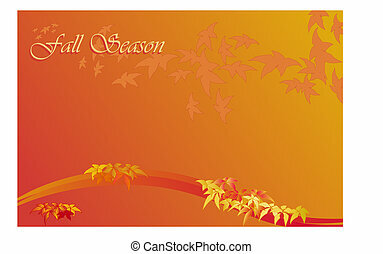 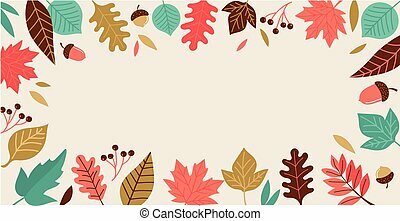 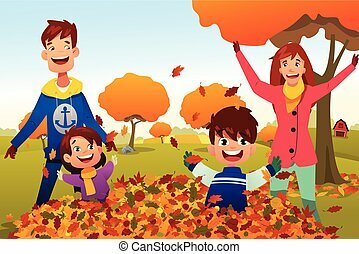 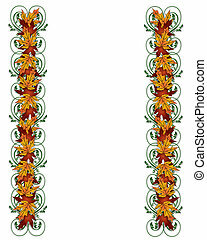 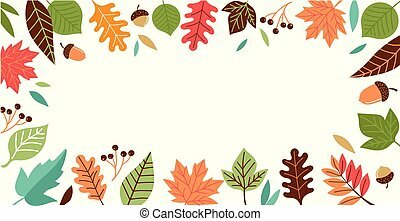 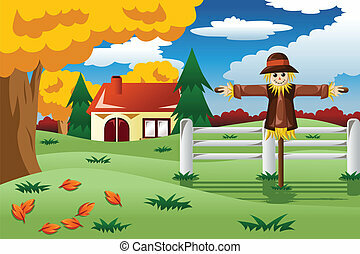 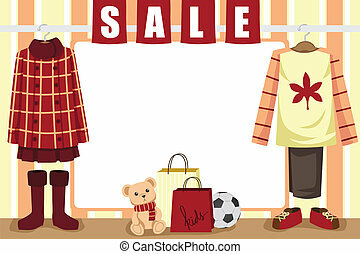 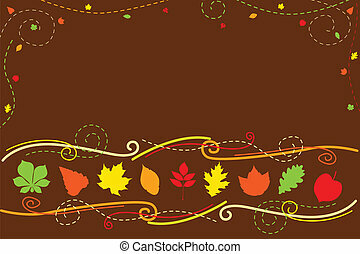 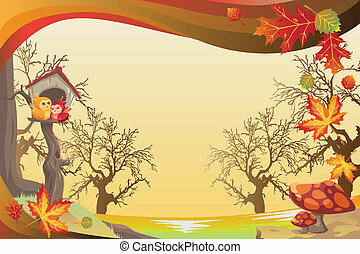 A vector illustration of an autumn or fall season background. 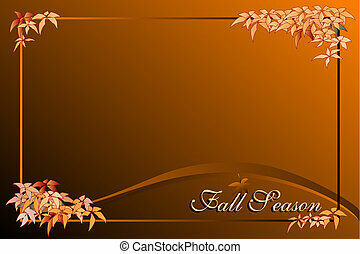 Grunge background with autumn leaves, and lots of copy-space. 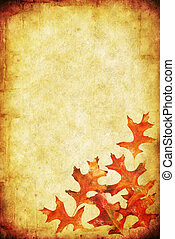 Combines textures of paper and stone. 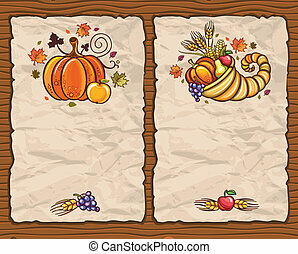 Beautiful Holiday paper arrangements with the space for your own text on the wooden background. 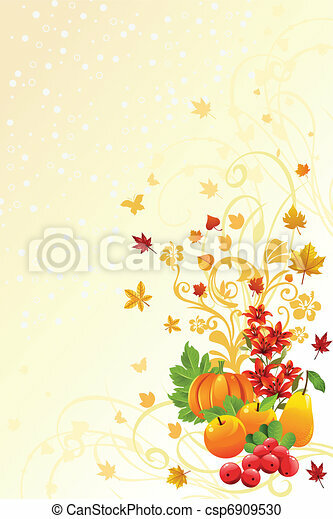 Horn of Plenty, pumpkin, apple, autumn leaves, grapes, apple, pear.